Whether it's rear dormer loft drawings, hip-to-gable extension plans, just a few Velux windows or all of the above, we'll have your online drawings ready in a jiffy. Maybe you need an extra bedroom and maybe you even have space for an en-suite too. Most loft conversion plans don't require Planning Permission these days but it is still extremely likely that you will need some form of Architectural Drawings. Your Architect will certainly not be offering the cheapest plans and they will certainly not be offering the fastest drawings. You can check the UK Government guide HERE to see if your loft conversion plans are likely to need Planning Permission. Even if your loft conversion is considered Permitted Development (ie. doesn't need Planning Permission), it is still a good idea to get a Lawful Development Certificate. This is basically just written confirmation from your Local Authority that you can build without Planning Permission and definitely aren't breaking any rules! The Lawful Development Certificate will also come in handy when you eventually come to sell your home. The Lawful Development Certificate Application requires loft drawings of the exact type you would normally use for a loft conversion Planning Application. This is just a form that states you are converting your loft and it enables the inspectors to quote your fees and tells them to expect to carry out some site visits soon. There are no loft conversion building regulations drawings produced with this option and you or your builder can submit the Building Notice. This is the one we would recommend as Loft Building Regulations Drawings are produced online by us and are pre-checked by the Building Control Officer before building work starts. This means you can be entirely confident that you will not building anything non-compliant and have to make costly corrections. 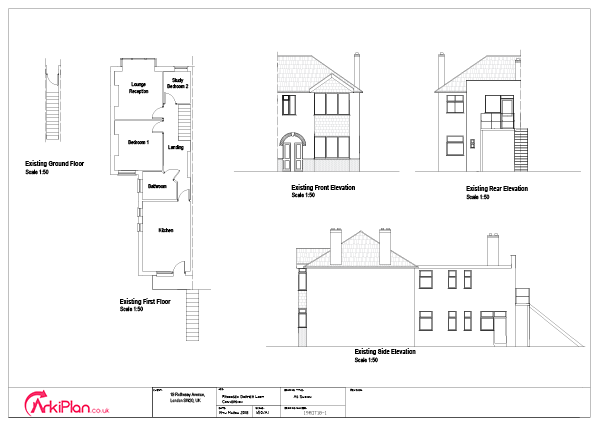 The fast loft drawings we produce will include all the relevant detailed section drawings, a loft conversion specification and all relevant notes to get you Full Plans Building Regulations Approval. Your builder will also have a nice detailed loft plan to work from, further reducing the risk of mistakes on site. We are absolute experts in Loft Conversion planning drawings and loft building regulations drawings. Your local Architect will not be offering the cheapest building regulations plans and will certainly not be offering the fastest building regulations drawings. We will produce all of your plans online and they will be ready FAST.